The “Snezhok NO-Gi 2019” in-club tournament has taken place at the sports gym of the “ZR Team Kyiv” in the Ukrainian capital on February 10th. 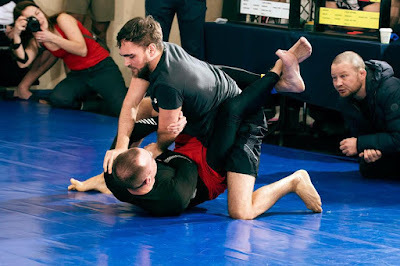 Fighters of the “ZR Team Kyiv” who are involved in BJJ up to one year and without competitive experience as well were able to compete with strong rivals and show their BJJ skills. The participants of the championship showed themselves as worthy fighters and won 12 gold, 12 silver, and 11 bronze medals. Such in-club tournaments are going to be great practice for the BJJ fighters beginners and help them to get the necessary experience for future competitions. Congratulations to all participants with well-deserved medals!